A month ago I launched from my blog a search for the perfect cookie. 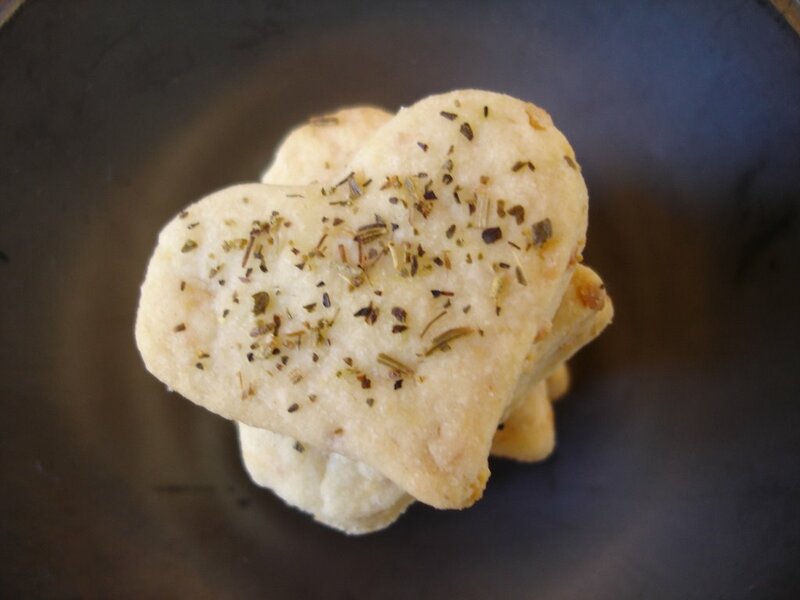 Participating to my first Weekend Herb Blogging I decided to go simple and post these little savoury cookies aromatized with herbes de Provence, one of my favourite herbs mix. That is the most classical French mix (French put it everywhere) and, in its simplicity, can give a real twist to everything, from tomato sauce to meat. Mix together all the ingredients (except the Provence herbs) to make a smooth pastry. Add water if needed. Let it rest for at least 30 minutes in the fridge. Turn on the oven a 180° C.
Roll the pastry in a layer 4-5 millimetres thick, and cut out tenderly hearts. Sprinkle the herbes de Provence over the cookies and bake until lightly golden. 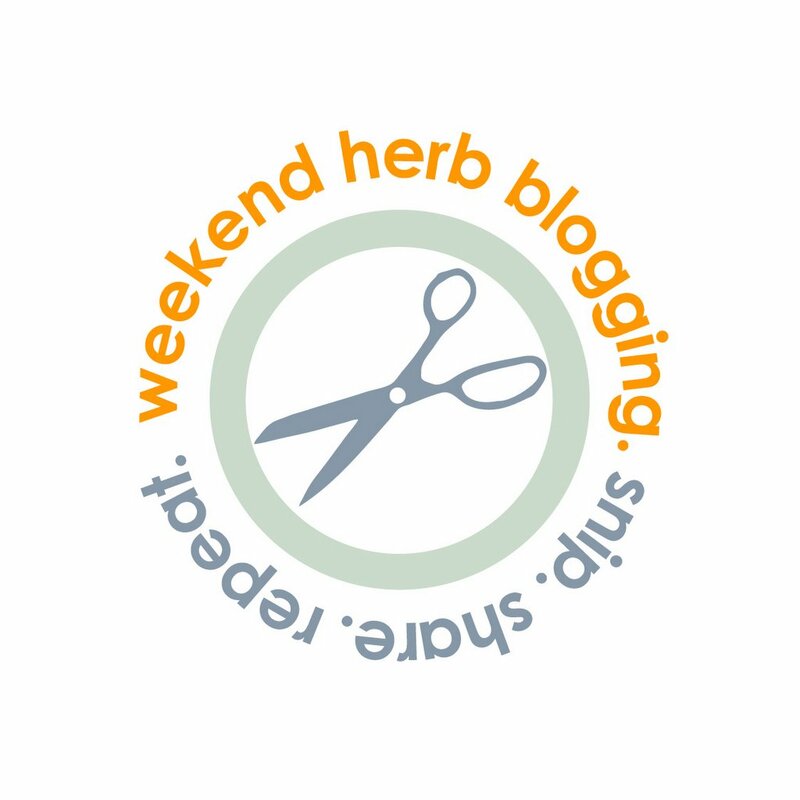 Con questo post partecipo al mio primo Weekend Herb Blogging. Impastare tutti gli ingredienti (tranne le erbe di Provenza) fino a ottenere una pasta compatta. Se necessario, aggiungere un po’ d’acqua. Lasciare riposare in frigorifero per 30 minuti. Stendere la pasta non troppo sottile, e ritagliare dei teneri cuoricini. Prima di infornare, cospargere con qualche pizzico di erbe di Provenza. Dedicati al Francese, che, con stoico aplomb sopporta e accetta di buon grado questa mia nuova ossessione, che “corrode ogni momento…ormai ci sono dentro…”. Come hai fatto??? L’ho pubblicato 2 nanosecondi fa!!!! But they love us because we are like this! This is my version and I’m sticking to it!!!!!!! What a wonderful recipe. These look just amazing in your photos. Welcome to WHB. I love having the recipe in Italian, which I once studied but never mastered. Now I can get a little practice. vabbé basta non finire sul piladelpia di Kaori, il resto è concesso.